Capacity: 84WH. Dell Precision 5510. 100% New from Manufacturer. Battery type: Li-ion;. Warranty： 12 months. Compatible Models Compatible Part Numbers. J5CG3 / 1C75X / 3DJH7 / 97KRM / FV993 / FJJ4W / KJ321 / RY6WH. Capacity: 97WH. Dell Precision M4600 Series. Dell Precision M6600 Series. Dell Precision M6700 Series. Dell Precision M4700 Series. Genuine Battery, Money back guarrantee， 3 year warranty. Precision M4600 WorkStation. Precision M6600 WorkStation. Precision M6600 M6700 Series(All). Precision M4700 WorkStation. Precision M6700 WorkStation. Otherwise deal is final. All products are quality checked. 4GVGH 1P6KD 01P6KD T453X. Dell Precision 5510. Battery Type: Li-ion. Dell Precision 5510. Genuine Battery, Money back guarrantee， 3 year warranty. Battery Type: Li-ion. Compatible Part Numbers Color: Black. Battery FV993 M6600 for Dell Precision M4800 M4600 M6800 FJJ4W 11.1V 97WH. J5CG3 1C75X 3DJH7 97KRM FV993 FJJ4W. Precision M4800 Precision M6600. Precision M4600 Precision M4700. Precision M6700 Precision M6800. FV993 PG6RC R7PND. Capacity: 97wh. DELL Precision M6600 series. DELL Precision M4600. Cell: 9 cell. • 1 x New Battery. Condition: New / New / New. Compatible laptop models. 245RR / T0TRM / 0H76MY / 07D1WJ / 7D1WJ / H76MV / Y758W. Dell Precision M3800 Series. Do not put the battery into water and fire. F38HT G0G2M 34GKR PFXCR 909H5 T19VW 451-BBFT 451-BBFV 451-BBFY. Dell Latitude E7420. Ultrabook Dell Latitude E7440. Dell Latitude E7450. Dell Latitude 14 7000 Series. Battery Type. Replace Part Numbers. 4GVGH 1P6KD 01P6KD T453X. Capacity: 84Wh. Dell Precision 5510. Cell Qty: 6Cell. 12 - month warranty! Compatible ModelE6400 ATG E6400 XFR E6410 E6500 E6510. Dell Latitude E6510. Dell Latitude E6410. Dell Latitude E6410 ATG. Dell Latitude E6400. Dell Latitude E6500. Dell Latitude E6400 ATG. Dell Latitude E6400 XFR. RRCGW M7R96 62MJV. Dell Precision 5510. Battery Type:Li-ion. PT434 / PT435 / PT436 / PT437 / KY477 / KY265 / KY266 / KY268 / FU268 / FU274 / FU571 / MN632 / MP303 / MP307. DELL Latitude E6400 / E6410 / E6500 / E6510. Dell Precision M2400 / M4400. Compatible Part Numbers：( Ctrl F for fast search ur laptop model). Capacity: 97Wh. Precision M4600 WorkStation. Precision M6600 WorkStation. Precision M6600 M6700 Series(All). Precision M4700 WorkStation. Precision M6700 WorkStation. Battery Technology: Li-ion. KJ321 / RY6WH / R7PND. Latitude E6510. Latitude E6410. Latitude E6500. Latitude E6400. Laptop battery for dell. Laptop battery for hp. Laptop battery for apple. Laptop battery for IBM. 100% 8M039 M6400 Battery for Dell Precision M6500 C565C F678F 90Wh. DW554 DW842 F678F 312-0868. C565C 8M039 03M190 KR854. DELL Precision M6500. DELL Precision M6400. Do not put the battery into water and fire. 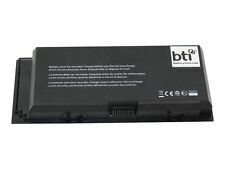 Due to the high amount of power that this laptop battery is able to provide, it is typically quite useful and durable. Overall, getting the power that you need from a battery is important, and this laptop battery provides amazing results for your laptop! (Latitude D820. Latitude D830. Latitude D531. Such as battery, ac adapter etc. Part Numbers We will very appreciated for your doing. excluded.). Precision M4300. PT434, FU272, FU274, PT437, PT436, KY265, KY266, FU268, MN632, MP307, MP303, PT435, NM633, KY268. Dell Precision M4500. Dell Precision M4400. Dell Precision M2400. Dell Latitude E6400. Dell Latitude E6400 ATG. Trending at $18.64eBay determines this price through a machine learned model of the product's sale prices within the last 90 days. 1P6KD 01P6KD 4GVGH. Capacity: 84wh. For Dell Precision 5510. 2.Bulit-in circuit protection ensures both safety and stability. 1 x New Battery. 1.100% New Product ! KJ321 / RY6WH / R7PND. 9GP08 / FVWT4 / PG6RC. V7M28 / 0TN1K5 / X57F1. Capacity: 97Wh / 9 Cell. Dell Precision M4600 Series. Dell Precision M6600 Series. Dell Precision M4700 Series. Dell Precision M6700 Series. Precision M6600 M6700 Series(All). Precision M6600 WorkStation. Precision M6700 WorkStation. Type: 100% Original Dell product! Precision M4600 WorkStation. Precision M4700 WorkStation. If run the battery shut down often, it will shorten the battery life. Genuine Dell Battery Latitude E6400 Precision M2400 M4400 M4500 0GU715 0H1391 0MP307 P018K 56WH NM631 KY266. Dell Latitude E6510. Dell Latitude E6410. Dell Latitude E6410 ATG. Dell Precision M4400. 312-0873 8M039 C565C DW842. KR854 J012F. Compatible ModelDell Precision M6500. M2400 M4400 M6400 M6500. Compatible Product LineFor Dell Precision. Dell Precision Battery TechnologyLi-ion. Battery type: Li-ion. M FKVP 0FNY7 451-BBSE T05W1 To5W1. Dell Precision 7510 Precision 7710, Dell Precision m7710 Series and more. DELL Precision 17 7000 Series, 17-7710,17-7720. DELL Precision 15 7000 Series, 15-7510 15-7520. Genuine 97WH Battery for Dell Precision M6600 M6700 M4800 FJJ4W X57F 9cell USA. Condition is New. Shipped with USPS Priority Mail. FV993 PG6RC R7PND. DELL Precision M6600 series. DELL Precision M4600. Compatible /fit models . Original Dell XPS 15 battery. GJKNX GD1JP 0GD1JP. Dell Latitude 5580 5480 5280 Series. Dell Precision 3520 Series. Dell Precision 15 3520 Series. Battery Type:Li-ion. Compatible Part Numbers. 4GVGH 1P6KD. Dell Precision 5510 Series. All item will warranty one year. Compatible ModelDell Precision M4600 M4700 M6600 M6700 and more. Precision M4600. Precision M6600. Compatible Product LineFor Dell Precision. Number of Cells9 Cell. Precision M4700. Precision M6700. 1 x Battery. 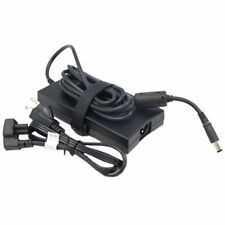 Rechargeable Li-ion M5Y0X T54FJ 312-1163 8P3YX 97WH 11.1-Volt Laptop Notebook.... Condition is New. Shipped with USPS Priority Mail.